Picture courtesy of the Westad family. I would like to tell you about our friend and fellow MSFA member, Lawrence Westad. 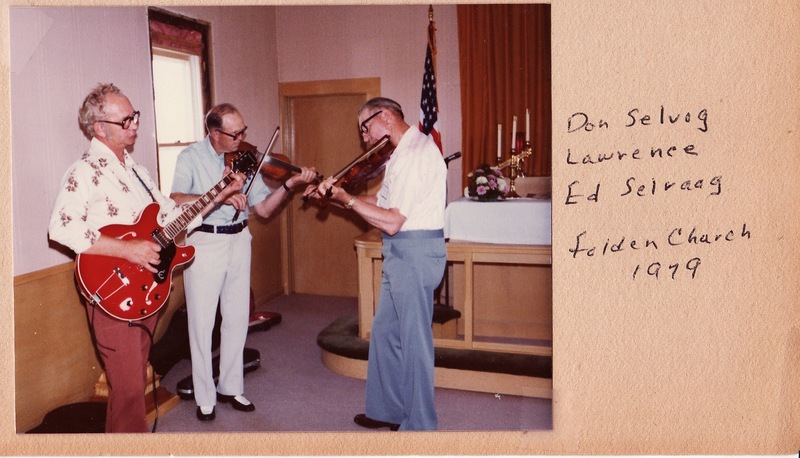 Lawrence is a very kind and happy person who has done much for the preservation of fiddling. As you enter his farm driveway located a half dozen miles northwest of Parkers Prairie, you are greeted by a square pillar of split rock with the words "Velkommen til Vesta". This translates- Welcome to Westad- and that is exactly what they mean. This is where the good old-fashioned sincere hospitality is served in heaping proportions! Lawrence's father, Palmer Mathais Kristenson came from Loten, Norway, where his parents were living on a fourteen acre farm. There wasn't much future for him on that size of a farm. In 1893, Palmer at age 23 came to America on a freight ship via Quebec, Canada. He then changed his name to Westad, which was the farm name in Norway. Palmer worked in the pine forestes and iron mines of Minnesota and eventually became an established farmer in the Henning-Vining area. Lawrence's mother Christine Nelson Bradley was born in Elmo township in Ottertail County. Lawrence was born the third of February 1915 in a little log cabin, being the eighth child of eleven. He attended rural school, having both men and women teachers. They did a lot of singing in that little country school- he remembers when they turned to page 50 and sang "When You and I Were Young Maggie." Lawrence's youth was spent on the family farm working with his dad. The wages were low! They survived seven years of drought and very low livestock prices. But Lawrence has a strong vein of perseverance and his farm now numbers 270 acres. Through the years he operated a threshing machine, which he still keeps as a souvenir, operated a dairy herd and raised hogs, as well as many other farming ventures. Lawrence knows what hard work is like. He also knows what tough luck is like, because he lost a barn full of hay from fire which was started by a bolt of lightening. But, as Lawrence said, "It did result in a new and better barn!" Lawrence's wife, Ruby, was born near Eagle Bed, in Ottertail County. Her grandparents came from Sweden. Her parents farmed and had a herd of dairy cattle. Ruby's mother is now 99 years old and is living in a nursing home in Cold Spring, MN. Ruby has one brother and one sister. Ruby attended a small country school and then went to Parkers Prairie High School. She then went to Staples, MN and received her teaching certificate. She then found a job teaching school in District 273. And guess who she found at a dance in Miltona one night! Ruby and Lawrence were married in Parkers Prairie at the First Lutheran Church in 1944. They started their life together on the same farm they live on today. Ruby raised gardens through the years and well remembers the struggle in keeping the hogs penned up. Hogs love gardens! Through these years Lawrence supplemented their income by working as a mason laying blocks. When Lawrence was a lad, he had a neighbor who played a fiddle. Lawrence loved this kind of music and the neighbor enjoyed playing for the youngster. In 1929, another neighbor who had a fiddle was moving to California and had an auction. Lawrence was a happy 14 year old when the auctioneer declared his three dollar bid was the winner! It was a Sears Strad copy. A school teacher taught him how to tune it and helped him with a few basics. The first tune he learned from Olai Gronn, and so he calls it the Olai Gronn Waltz. But there was much farm work to be done and Lawrence more or less forgot about the fiddle. The fiddle has since disappeared and he speculates that his sister just may have burned it along with other trash and junk! "She was like that," he said. Then in the mid 1950s, a new neighbor moved in from Iowa. This fellow could sing and this prompted Laurence to start fiddling again. They would get together once a week and things got to be as they should be. The fiddle he seems to use the most is a Strad copy by Roth. He bought this fiddle, along with two others from June Kimbler of Henning, whose father used to play. 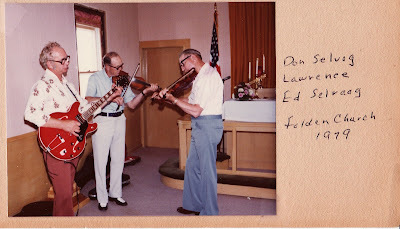 Nowadays Lawrence gets together with Ed Selvaag of Henning, who plays the fiddle, guitar and piano; and Maurice Strom who is a retired depot agent and loves to fiddle. Lawrence has played in many contests and has a piano top full of many beautiful trophies. 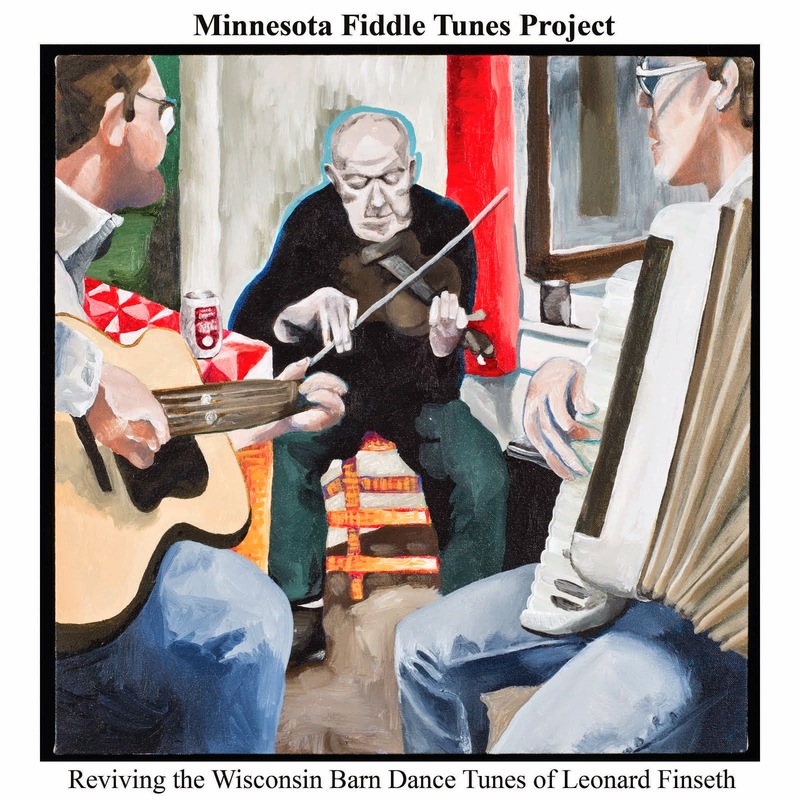 Phil Nusbaum has recorded Lawrence and Ed Selvaag playing the old favorite "Greet the Folks at Home" for the Minnesota State Arts Board. Lawrence loves to hunt deer. Sometime back he found himself in the woods near the Canadian border, in the Ash Lake area, waiting for a deer. A waltz was spawned in his mind and he called it the "Ash Lake Waltz." 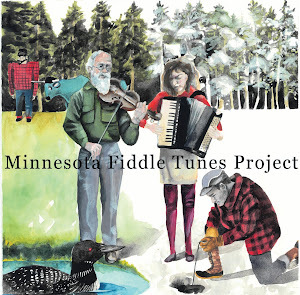 This has been recorded by Wilbur Foss' "Fiddles Had Fun in Yankton, SD in 1986." 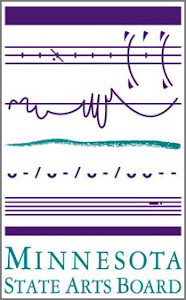 Many fiddlers refer to this tune as the Westad Waltz."